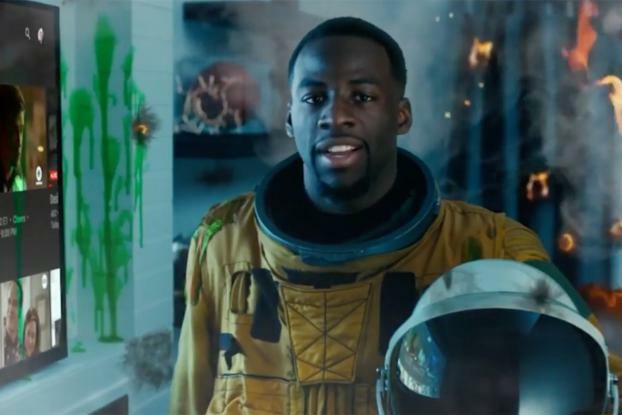 NBA star Draymond Green goes from Golden State Warrior to medieval warrior, pirate and more in a new spot promoting YouTube TV. The VFX-heavy spot sees Green battling "Braveheart"-style fighters in his living room as he explains how the mobile app means he never misses any of his shows, despite "going into battle fairly often." We also see him as a swashbuckling pirate and an astronuat zapping aliens, who are searching in vain for his cable box. ESPN CreativeWorks created the two minute spot, while Vincent Peone directed it via content production studio Big Block. It's airing on ESPN.